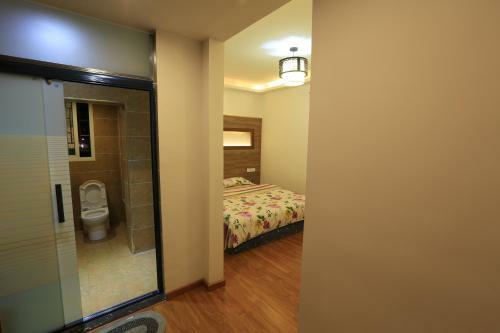 This twin room features a balcony, soundproofing and air conditioning. This triple room features a balcony, patio and electric kettle. 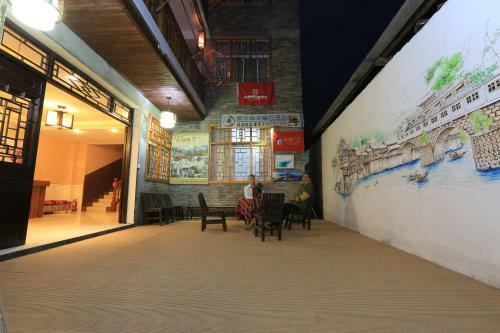 Set in Fenghuang, Fenghuang Ancient City Jiaxing Inn is a homestay providing free WiFi, and guests can enjoy a garden, a terrace and a shared lounge. 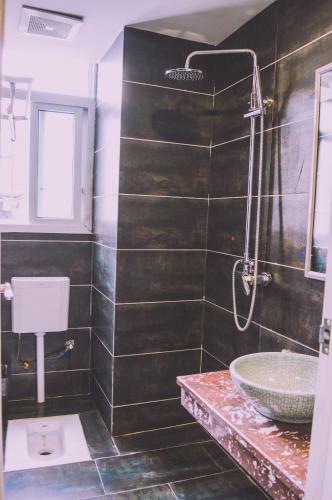 Fitted with a balcony, the accommodation offers air conditioning and features a TV and a private bathroom with bath or shower. A car rental service is available at the homestay. The nearest airport is Tongren Fenghuang Airport, 30 km from Fenghuang Ancient City Jiaxing Inn. 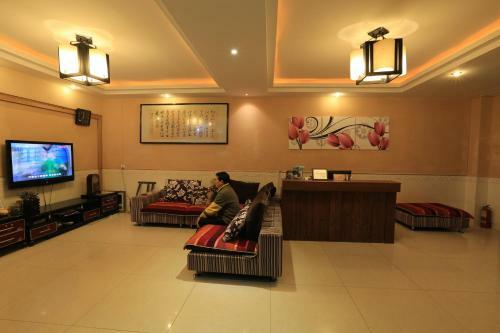 The property offers to book bus tickets to Zhangjiajie, Guilin and Changsha for guests. La chica del Hostel no habla inglés pero nos facilitó información de la ciudad. Nos dio un plano. Nos coció el billete de autobús para Guilin. No hizo la colada gratis. En fin, una maravilla. Esta muy bien situado. Aunque no está en primera línea del río, está a 1 min andando y te ahorras todo el jaleo que hay al lado del río. Super lokalizacja blisko rzeki, ale z dala od zgiełku lokali. Bardzo czysto. Obsługa nie mówi po angielsku, ale wszystko można załatwić. Polecam! Host can not communicate in English but not a problem.They are very nice and helpful. 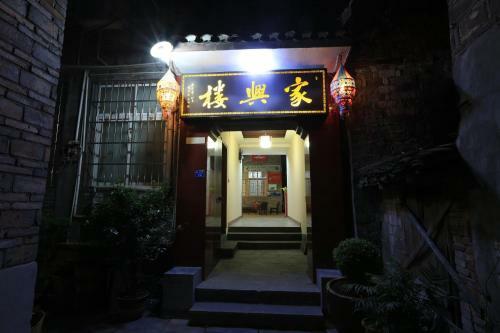 Hotel location is good, 100 meters walk from the road side and 100 meters walk to Feng Huang river bank and Wangchou Palace. 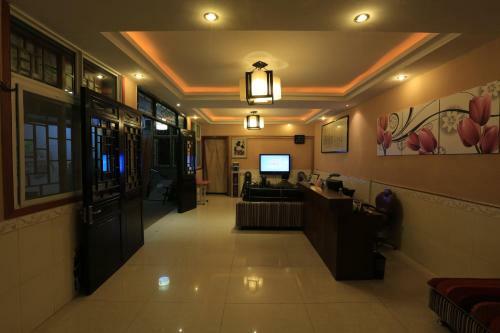 It is a bit difficult to find the hotel from road side, the host will advise you via e- mail to take a taxi and ask the driver to call her, then she will wait to pick you at the hotel entrance. Taxi from bus station costs 15-20 RMB and take 7 minutes. Room is spacious, comfortable, clean and quiet. Very easy to reach the river bank and ancient city. Highly value for money and recommend for staying. Very friendly and helpful staff , comfortable beds and neat rooms. Great location. Wonderful if you just need a place to sleep at night! No sitting toilet, which can be quite challenging when you are not used to it! Even though the owner didn't speak English she was one of the most helpful people we met in China!! She helped us get around, book tickets, find shops, etc. the room was very clean and big, plus had a lot character. It was super comfortable. The location is right next to the river. I would definitely stay here again!! Good sercvice mind staff. Everyone is willing to help eventhough they are not fluent in English. The overall accommodation is nice. За такую цену - великолепно! За такую цену - великолепно! Отличное местоположение, просторная и уютная комната. Чисто и светло. Некоторых может смутить дырка, вместо обычного унитаза. Персонал плохо говорит на английском. The hotel is conveniently located on the edge of the Old Phoenix town, but can be easily reached by road as well. The owners do not speak English, but use translator to communicate with foreign tourist :) They are super friendly and helpful. We stayed only 1 night, but wanted to visit the Southern Chinese Wall which is just outside of the town, they organize a trip just for us. If you stay in old town part, you'll be very, very close to the river. Having said that you may expect certain "life forms" getting into your room. Difficult to find the hotel due to different display name when reserve the room. It's a rare type of hotel where you feel you're welcomed and where some services are given for gratitude and not in exchange of money. People with value attending this hotel. 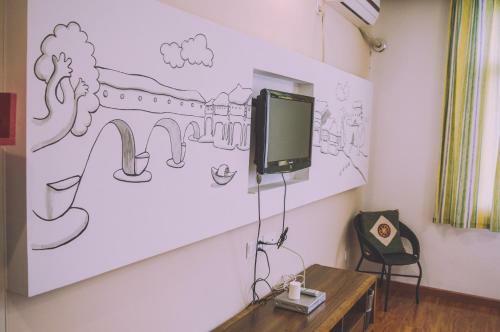 The location is excellent, rooms are clean, spacious and beds comfortable. Quality. Overall, i would rate it as a very good 3 stars hotel and not 4 only because it does not have a swimming pool, a spa and all the tralala. There is no view of the river but it's next to it and I would stay again in this hotel in exchange of any of the ones with view of the river. 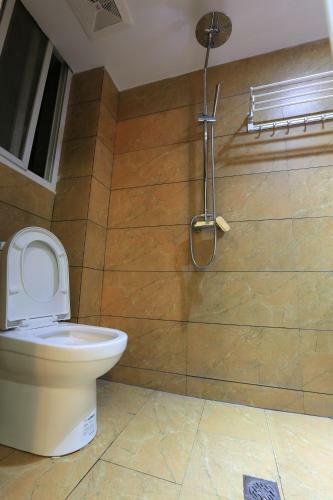 Nice quiet location, very clean (recently refurbished? ), friendly host, no command of english, but we managed otherwise. We could not find the remote for the AC or towels at first, but everything was sorted as soon as we asked for them. Very comfy beds by Chinese standard. The restaurant they recommended was a little odd. Imposible ser más amables. 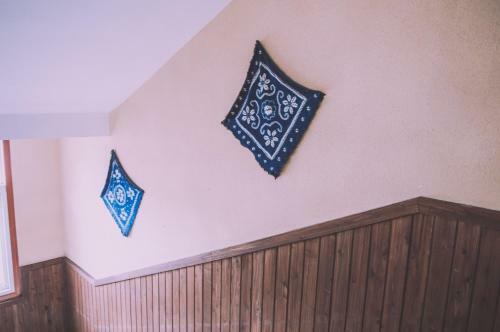 El sitio parece estar dirigido por una familia, no hablan inglés (utilizan el traductor del móvil) y aun así el trato es excepcional, digno de cualquier hotel de 5 estrellas, no descansan hasta que no consiguen entenderte y ayudarte y siempre con una sonrisa. Habitaciones amplias y limpieza extrema en todos los sentidos, suelo, sabanas y todo. 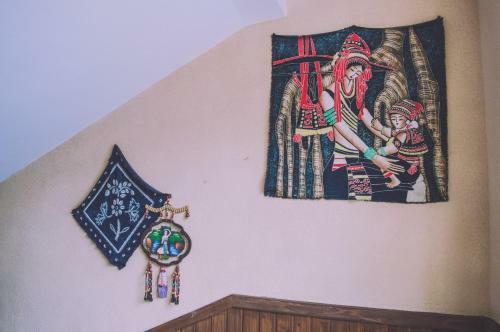 Hay que saber a donde se va, es decir, no estoy hablando de que el sitio sea de lujo (las camas son normales, el baño extraño para un occidental, etc.) 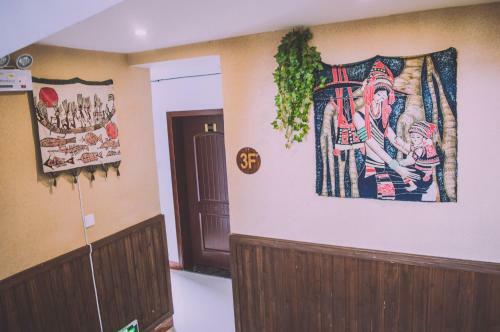 pero desde luego es un hotel absolutamente recomendable y limpio, con el personal mas amable que vas a encontrar en toda China y muy bien ubicado para visitar Fenghuang. Me gustaría resaltar que les escribí una semana antes de mi llegada que necesitaría comprar billetes de autobús para ir a Guilin (que era mi próximo destino) y a mi llegada, sin tener yo que decir nada, ya me habían preparado horarios y precios, me ayudaron a comprar los billetes y me llevaron a la estación el día de salida. Nada. Todo perfecto. 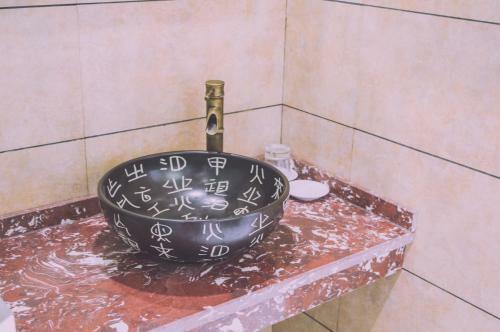 Por poner una pega el wc es sin taza, aunque eso ya se sabe al ver las fotos y no deja de ser un hotel "de pueblo" de china y barato, además esta tan limpio que no hay ningún problema. Мне показалось, что отель не так просто найти - долго блуждал. Хотя на самом деле стоит пройти по узенькой улице до самого конца. Очень помогла хозяйка гостиницы в организации обратного трансфера до Чжанцзязе. Хотя она и не говорит по-английски, но онлайн переводчик и жесты делают чудеса. В итоге помогла купить билеты и заказала такси. Нет шторки в ванной комнате, в номере нет шкафа и очень мало поверхностей для вещей. Горячую воду в душе нужно ждать. Сложно найти в первый раз, поэтому лучше заказывать трансфер. Very friendly and helpful staff. Perfect location! Clean rooms. Although the host was very friendly, extremely helpful and charming, she does not speak a word of English. The staff doesn't speak English at all but she tried to be really helpful. The room was very clean and big. There are some many hotels nearby with a better view. The truth the town is worthless so don't stay more than one night. Le personnel est vraiment genial. Le personnel est vraiment genial. La situation géographique est superbe, à même pas une minute du bord de la riviere.